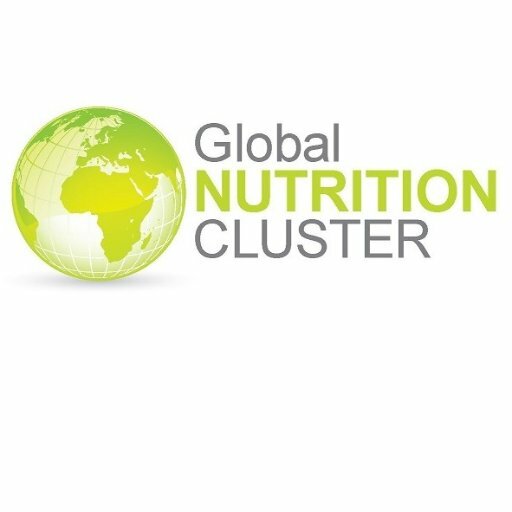 The SUN Movement approach of national ownership and leadership, in bringing different sectors and stakeholders together, in addressing nutrition challenges is beginning to show a positive impact, in the context of stable countries. This approach can also be applied in the context of humanitarian response. 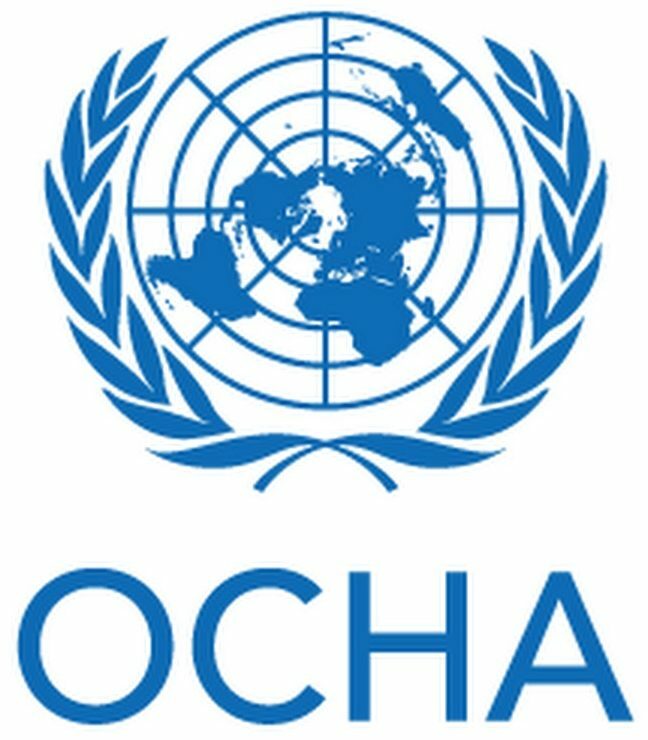 Not only to ensure reaching the most vulnerable populations in times of crises but to create more sustainable and durable development of people, communities and nations. 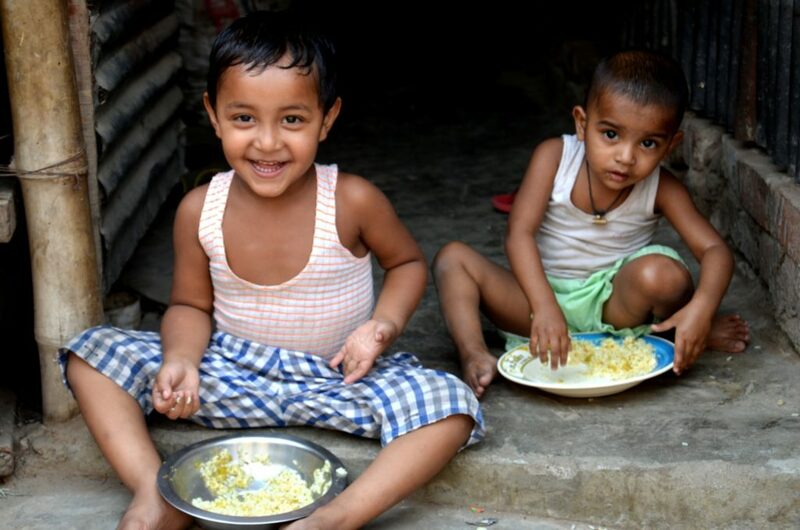 In 2017, the SUN Movement has marked its seventh year with 59 countries and three Indian states committing themselves to the ambitious goal of revolutionising the way they address malnutrition; putting nutrition at the heart of their social and economic policies and adhering to the SUN Movement Principles of Engagement. 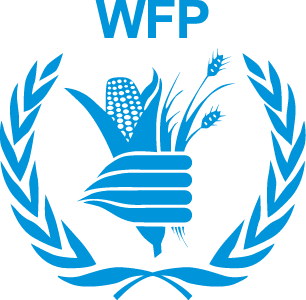 Growing evidence suggests that investing in nutrition and food security helps to fight against hunger to build peace and resilience. 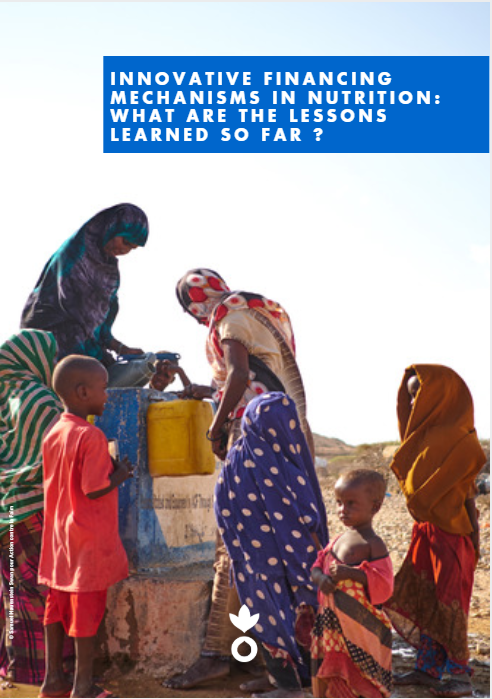 We believe that with coordinated responses to improve access to water, sanitation, health and social protection, households will be more resilient to shocks and communities will prosper with healthier bodies and healthier minds. 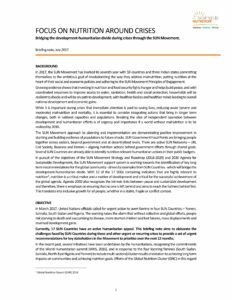 In pursuit of the objectives of the SUN Movement Strategy and Roadmap (2016-2020) and 2030 Agenda for Sustainable Development, the SUN Movement support system is working towards the identification of key long-term recommendations for the global community – driven by examples from SUN Countries – which will bridge the development-humanitarian divide. Agenda 2030 recognises the intrinsic links between peace and sustainable development and therefore, there is an emphasis on ensuring that no one is left behind and aims to reach the furthest behind first. This translates into inclusive growth for all people, whether in a stable, fragile or conflict context. 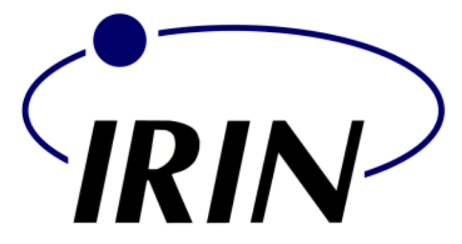 As of June 2017, seventeen SUN Countries have an active humanitarian appeal. 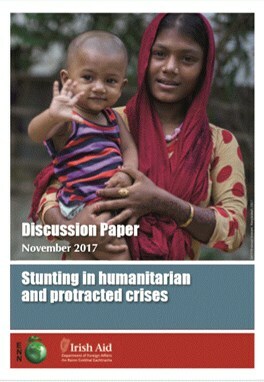 The SUN Movement briefing note, “Focus on Nutrition around Crises,” aims to elaborate the challenges faced by SUN Countries during urgent or recurring crises to provide a set of recommendations for key stakeholders in the Movement to prioritise over the next 12 months. 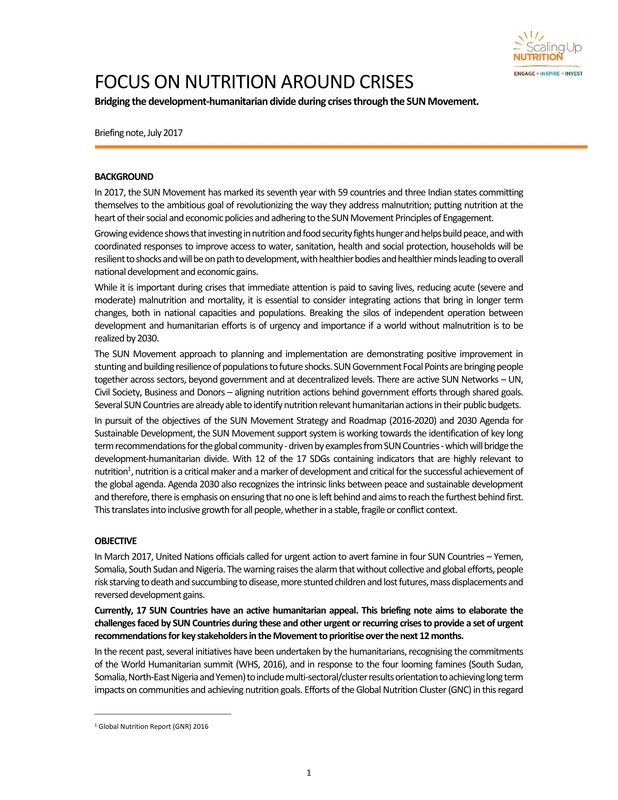 The note has been developed by the SUN Movement Secretariat and is based on consultations with key individuals engaged in humanitarian actions from UN OCHA, UNICEF, FAO, WFP, IOM, UNDP, WHO, individuals from the SUN Civil Society Alliance, Tufts University, ENN, GAIN and is supplemented by information readily available online. 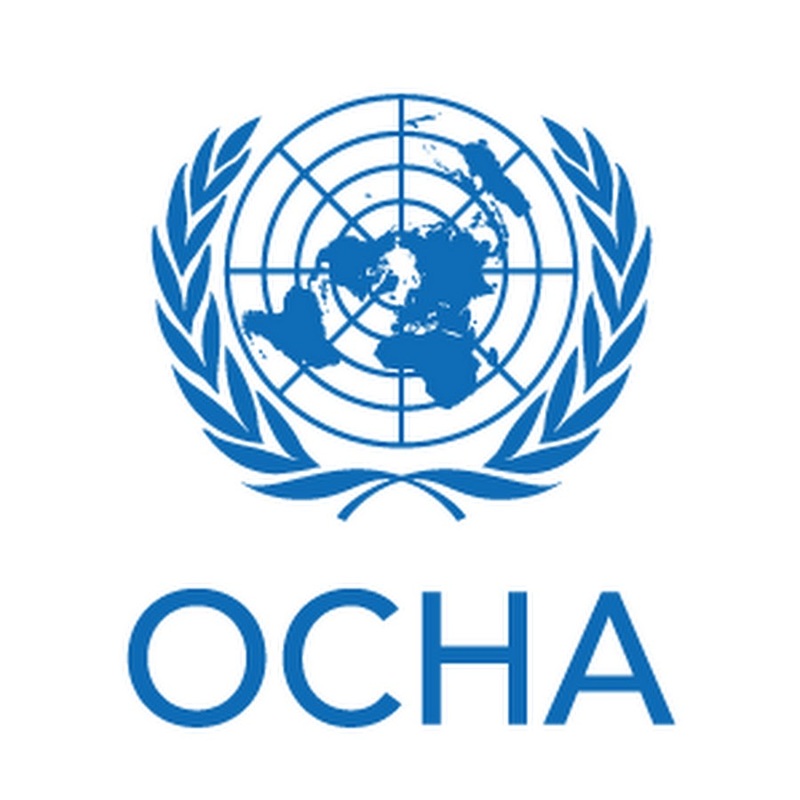 In addition to the organisations listed above, other partners critical in ensuring a coherent response to nutrition during crises include UNICEF, the United Nations Development Programme, the World Health Organization, the Food and Agricultural Organisation of the United Nations, Save the Children, Action Contre la Faim, World Vision, Care International, Concern Worldwide and Oxfam. 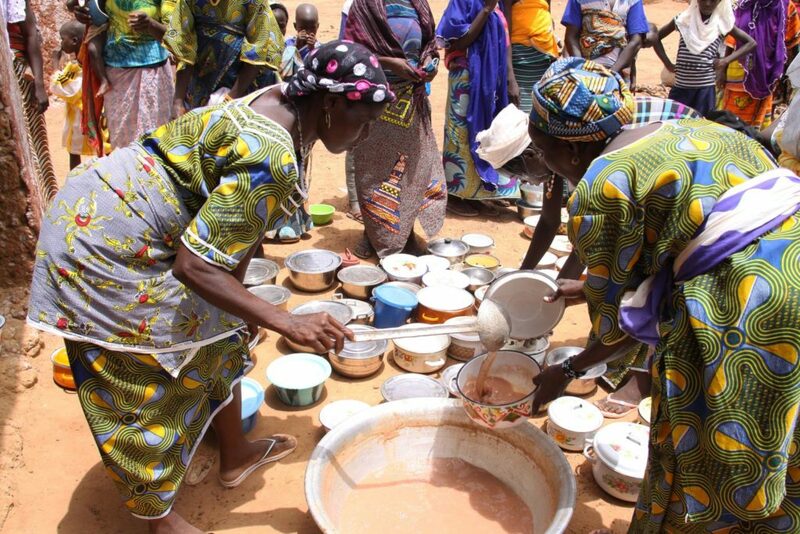 In 2016, the project added components to promote an adaptive social protection system in Niger. These include mechanisms to make social protection interventions more responsive to shocks and allow poor and vulnerable households to build their resilience. 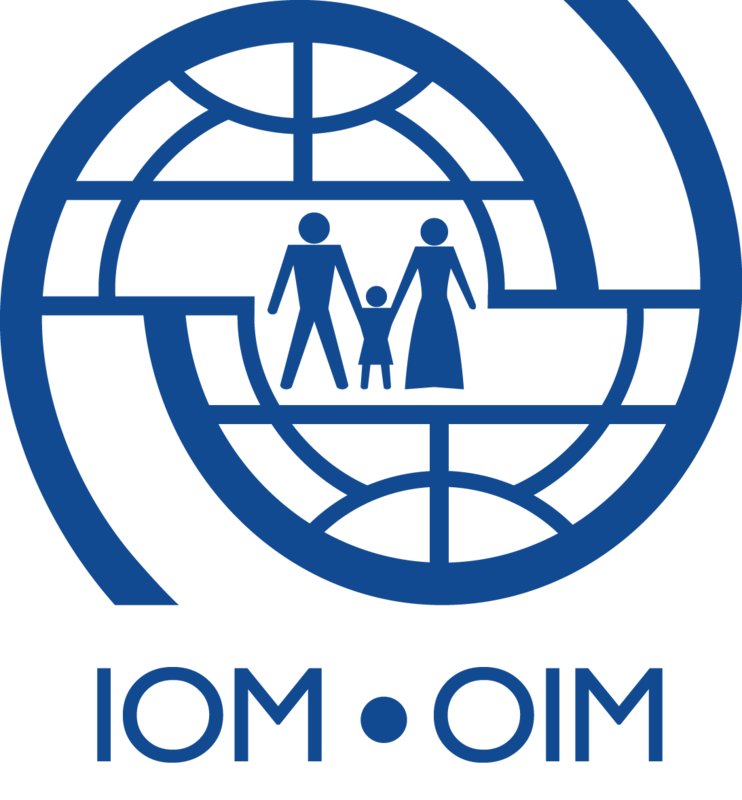 The goal of this newer program is to protect the poor from climate and other shocks before they occur (for example through predictable transfers and building community assets) and also to scale up when extreme events hit.